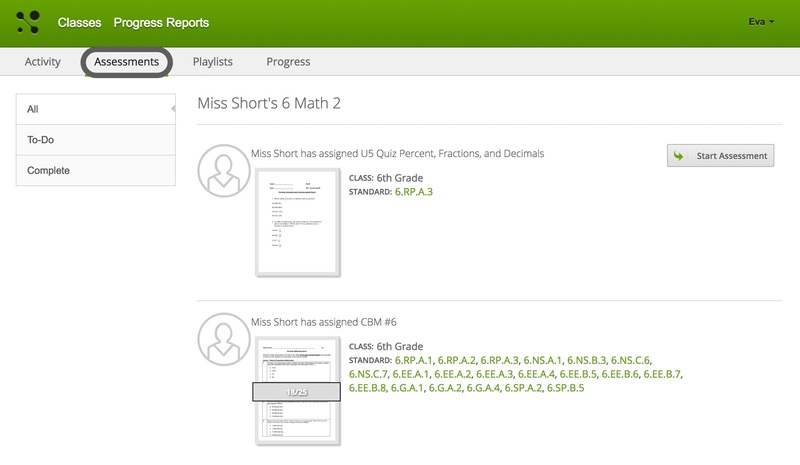 The MasteryConnect Student Portal gives you access to assessments and playlists directly from your teacher. Your teacher will send you an activation email or print out login information for you to create and log in to your student account at masteryconnect.com. The first time you log in, it will require you to set up a password. Create a password you will remember and then click save and continue. After logging in, you can view any recent activity from your teachers and classes on the homepage. To view a specific class or subject, click on Classes and select the one you want to view. Here, you will see all activities for the class you’ve selected. Click on Assessments to view all of your assessments for the class. You can sort by those you’ve completed and ones that you need to start. Teachers can make assessments available directly through the Student Portal so you can take an assessment without needing a Test ID. Teachers can also provide additional resources and learning activities using playlists. 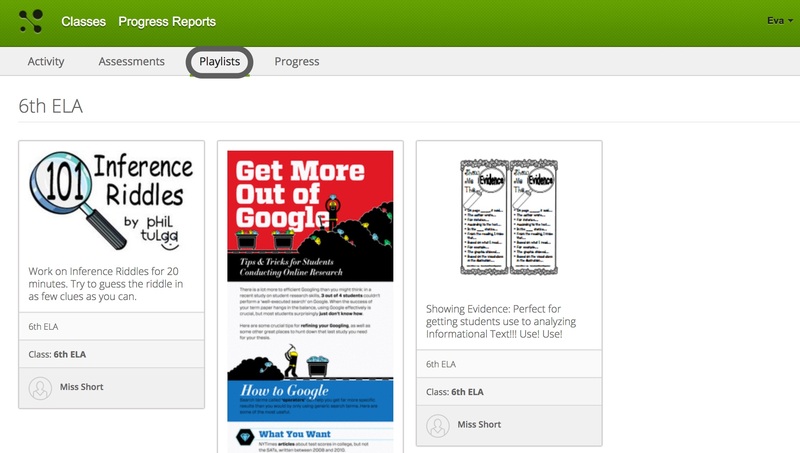 As a student, you can click on Playlists to view any available activities for your class and practice those concepts provided by your teacher. 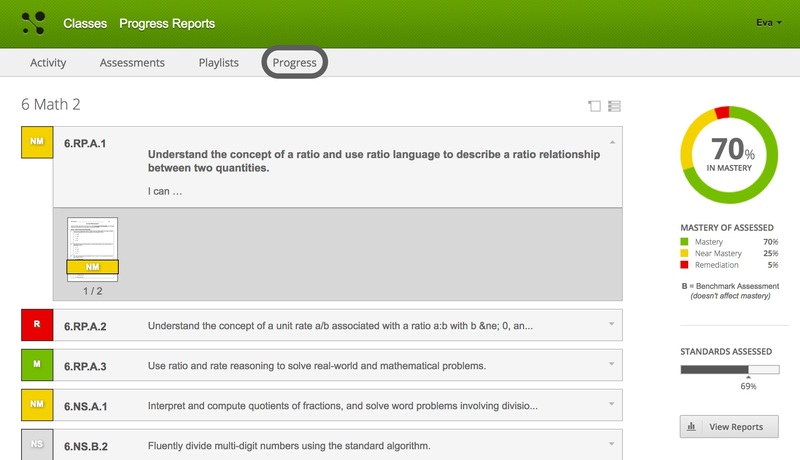 By clicking on the Progress subtab, you can view a real-time progress report for your class. Your progress is broken down by standard with the mastery status and assessments for each one. Click on the assessment thumbnail to view the assessment in detail, along with your answers if they were made available by your teacher. Students will have access to archived classes including assessments, answer keys, student answers, and item analysis if the teacher has not made it private. If your school or district distributes reports using MasteryConnect, you'll be able to access available progress reports for past terms. 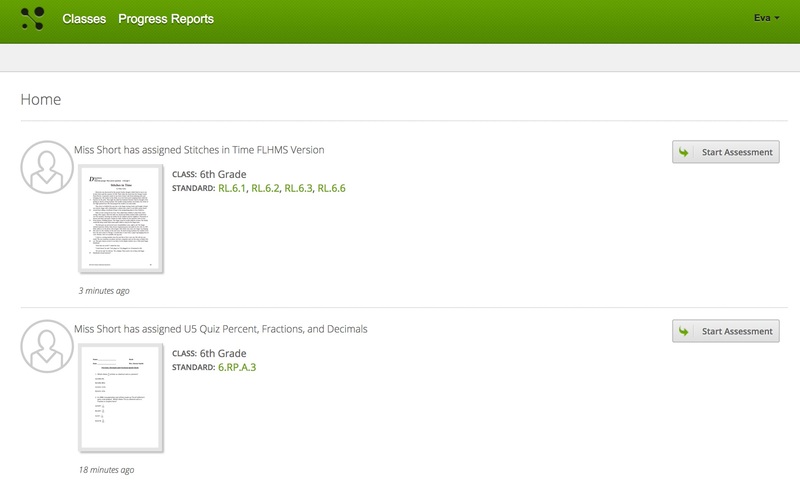 Click on Progress Reports from the main navigation bar and then select the progress report you want to view.